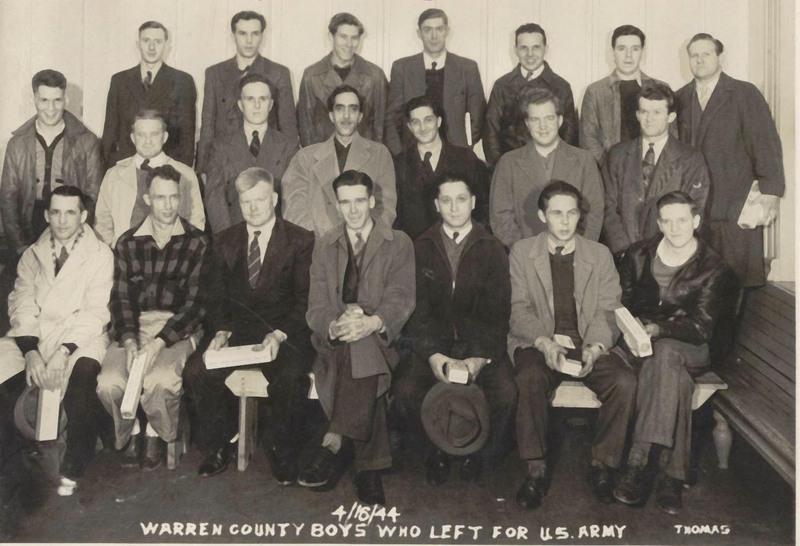 Comments: c1950 -- 21 Men (Nee: ) | Warren PA United States | 1941-1960 | Comments: Men from Warren, PA leaving for U.S. Army April 1944. Harry E Shirley is seated 2nd from left. Have no idea names of others.